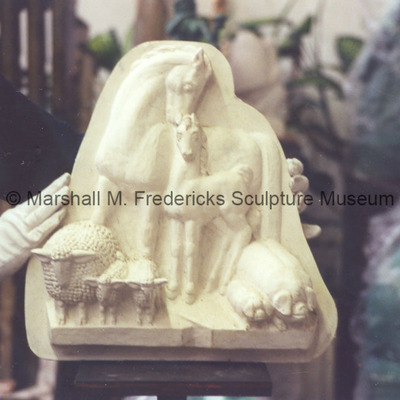 A plaster relief of 3 different animals with their young. 2 horses, 3 sheep and 2 pigs. 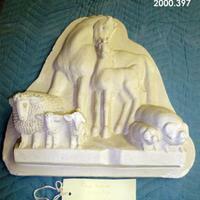 A plaster relief of 3 different animals with their young. 2 horses, 3 sheep and 2 pigs. Piece was created for the U.S. Post Office in Sandwich, Illinois. 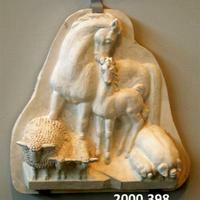 A plaster relief of 3 different animals with their young. 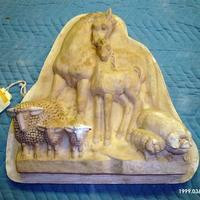 2 horses, 3 sheep and 2 pigs. 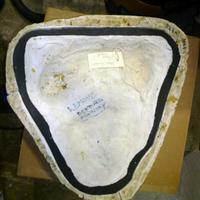 There has been some repair to one of the sheep which is evedent by the white plaster.